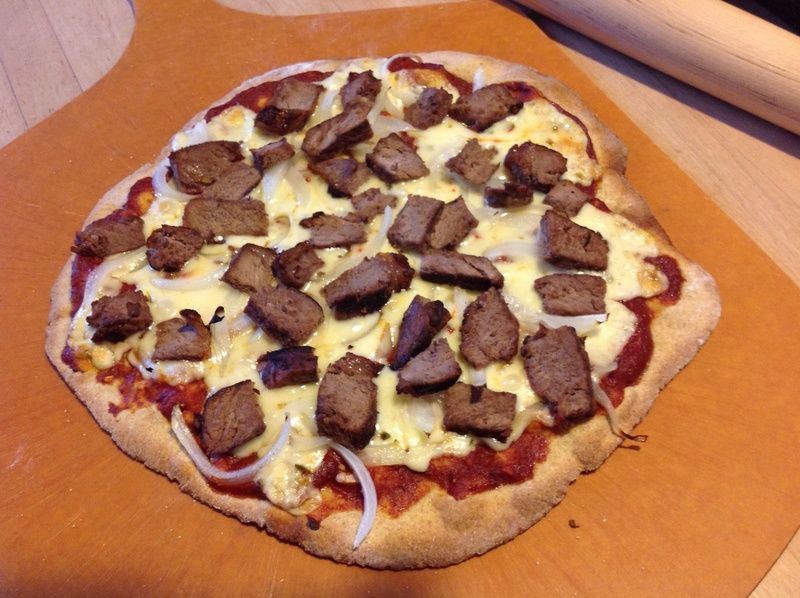 Last summer I created a delicious grilled steak pizza. I was reminded of it while Andrew was grilling steaks for dinner one night, and quickly convinced Andrew to save some steak for a repeat of that delicious pizza. I marinated the steaks in a similar homemade teriyaki marinade that I used last summer. It consists of soy sauce, brown sugar, vinegar, olive oil and minced garlic. This marinade is super easy to make and tastes fantastic on beef or chicken. After snatching some steak from the grill I sliced it into bite sized pieces, along with peppers and onions. Andrew has been craving pepper jack cheese lately and I thought it would go great on this pizza. I threw everything on top of a layer of marinara sauce, then baked it for about 10 minutes. 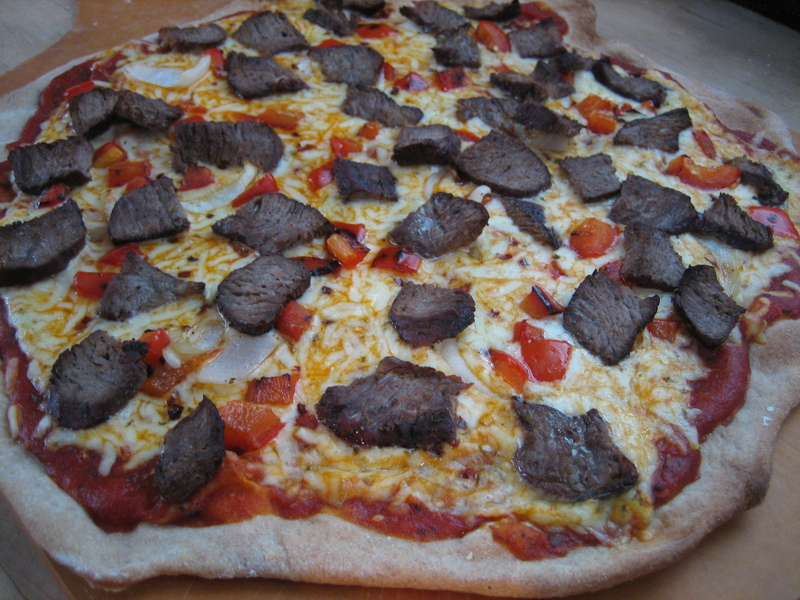 Pepper jack cheese was definitely the right choice for my Steak, Peppers and Onion pizza recipe. The kick of the cheese complimented the juicy, savory flavors of the teriyaki sauce on the steak. 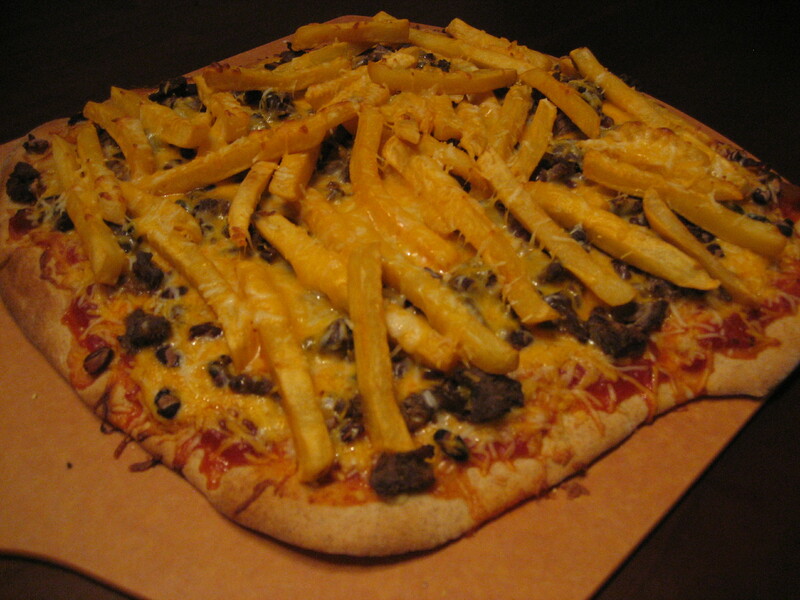 Another great summer steak pizza has joined the list!